In this passage of Scripture, we are told that even though a mother may forget her own nursing child, our God and Father will never ever forget us! He so desires to keep us in His sight that He has even engraved us on the palms of His hands. When I think of this picture, I cannot help but think of the cross of Jesus Christ and His own nail scarred hands. I wonder if today's promise was a prophetic picture of Jesus' sacrifice at Calvary where our God would be forever reminded of us because of the finished work of Christ? He will not forget you! You are always before Him. 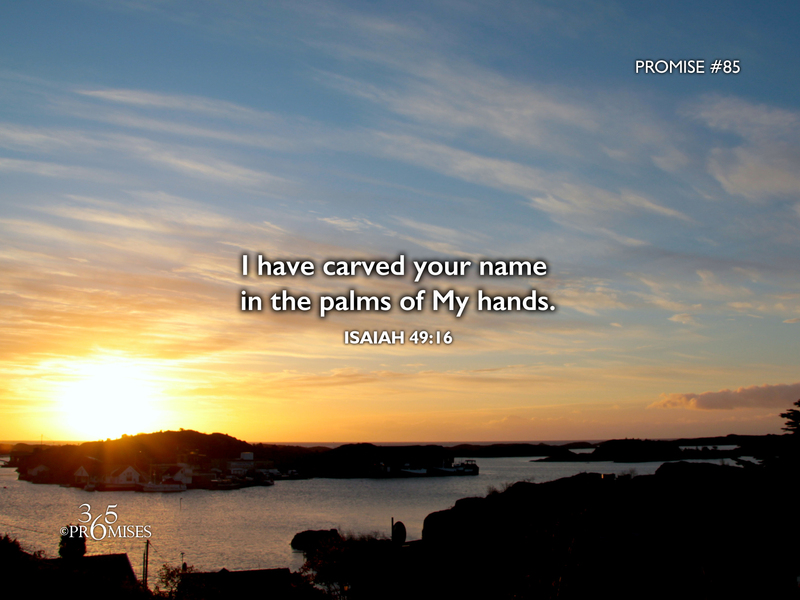 He loves you so much, that He has carved your name in the very palm of His hands. May the reality of this promise go deep into our hearts today.